Bill Miller was born in Laurinburg, North Carolina, in 1950. 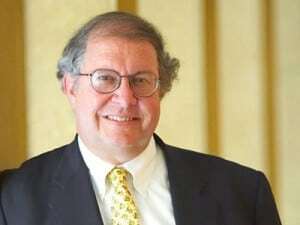 He has been in investing business since 1972, after graduating economics from the Washington & Lee University. His first job was at the J.E. Baker Co, where he worked as a treasurer. After ten years at that position, he got a job at Legg Mason and he became the company’s head chairman and investor. He became famous when under his leadership Legg Mason Value Trust noted one of the greatest successes in mutual fund history, as he got the longest successful investments ever, which beat the S&P Index for fifteen years in a row. In that time, from 1991-2006, Miller’s fund made growth of more than 19 billion dollars. He now works as a head of the board of investors of the Santa Fe Institute. His method of investing brought him billions, and the main part of his principles that brought success to other investors as well is the patience. As every successful and smart investor, Bill Miller is a patient and thorough researcher. His boost was not instant, but his earnings are tremendous. Decades of studying and decades of investing were needed for him to be at the level he is now. He doesn’t discard any stock, as he knows that for any stock there always can be found a way to trade it at a discount to its intrinsic worth. To those who want to learn from him, he suggests to do thorough analysis and to develop security strategy when investing. He reminds that assumptions based on the looks of something or because of the low price of the stock is wrong and misleading. Analysis of a stock that looks too expensive or cheap is essential in order to find the real value of it. Since most of the stocks that look expensive actually are expensive, it is necessary to analyze all in order to find those that are mispriced, and there comes the benefit. Also, his style includes learning from the mistakes other investors make. Most mistakes are always because they are short term investments, so he points out how research and analyzing is important in order to find a good long-term investment.